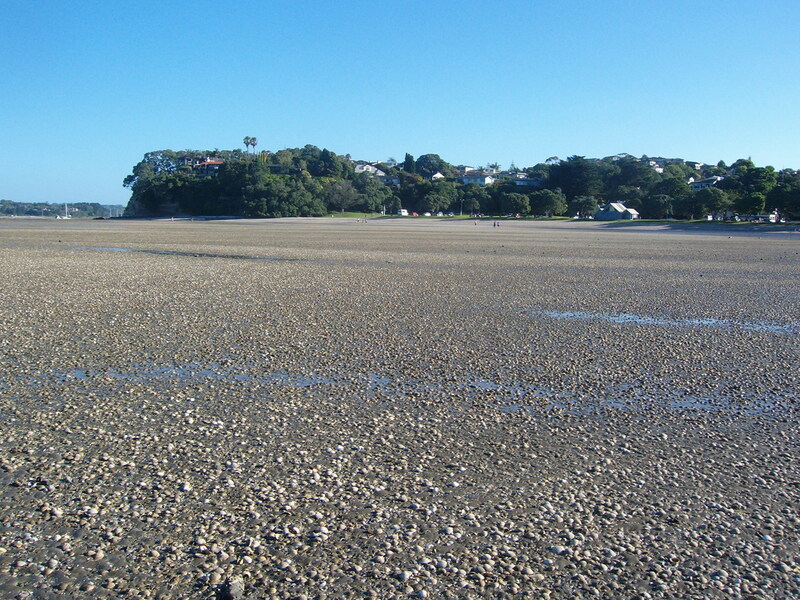 The shoreline of the Waitemata Harbour, around which the city of Auckland sprawls, features a number of tidal inlets and estuaries. 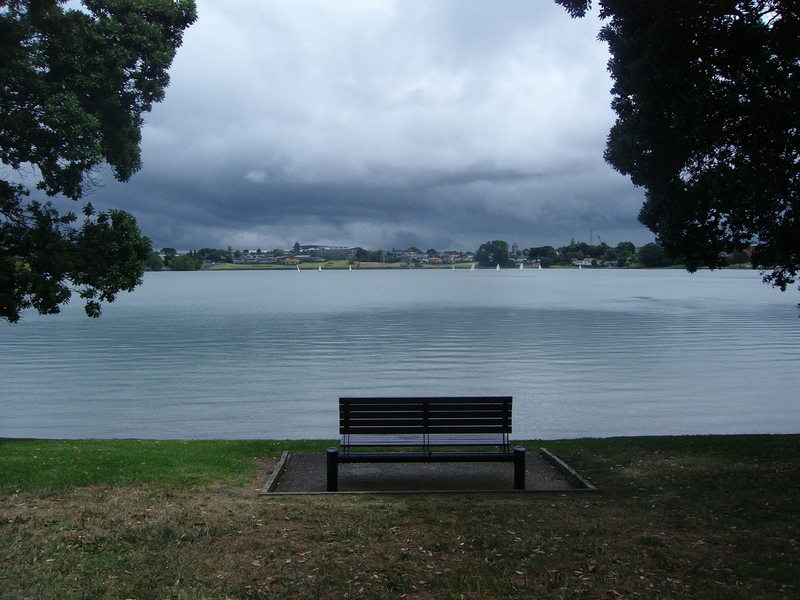 One of these is the Tamaki River estuary – it winds so far inland that at its head it is only a few hundred metres from Auckland’s other, southern, harbour, the Manukau. Long before Europeans came to this region of New Zealand, Maori legend tells us that Te Moko Ika A Hiku Waru was a taniwha, a water spirit, that guarded the mouth of the Tamaki inlet. 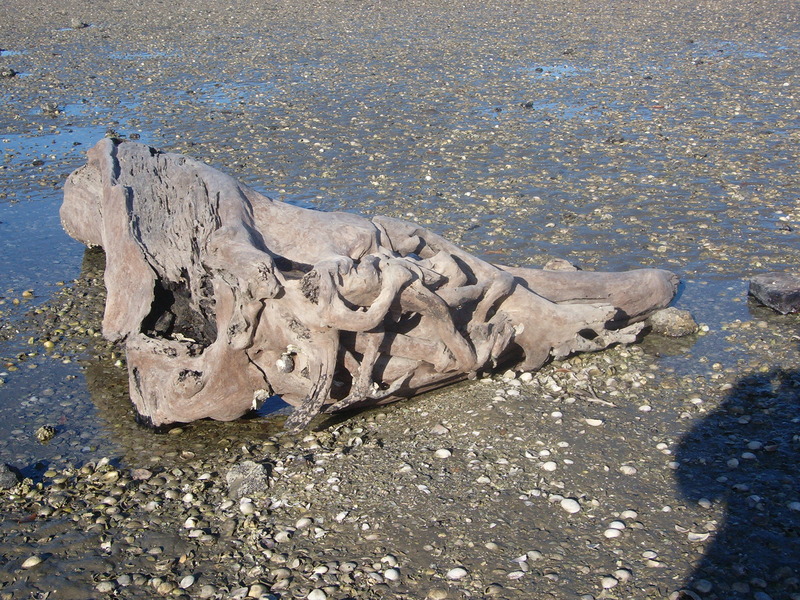 This creature gave its name to a strategic knob of land overlooking the estuary: Mokoia Pa was a fortified settlement there, home to the Maori Ngati Paoa people. In the 1820s the pa was attacked by a northern tribe and destroyed, and its inhabitants killed. Looking across the Tamaki River to Mokoia Pa site (to the right of the bridge). In the foreground the remains of an early 1900s cattle yard. Little more than a decade later Europeans began to show an interest in the area. The Surveyor General, Felton Mathew, was keen to establish the young colony’s capital near the abandoned pa site. 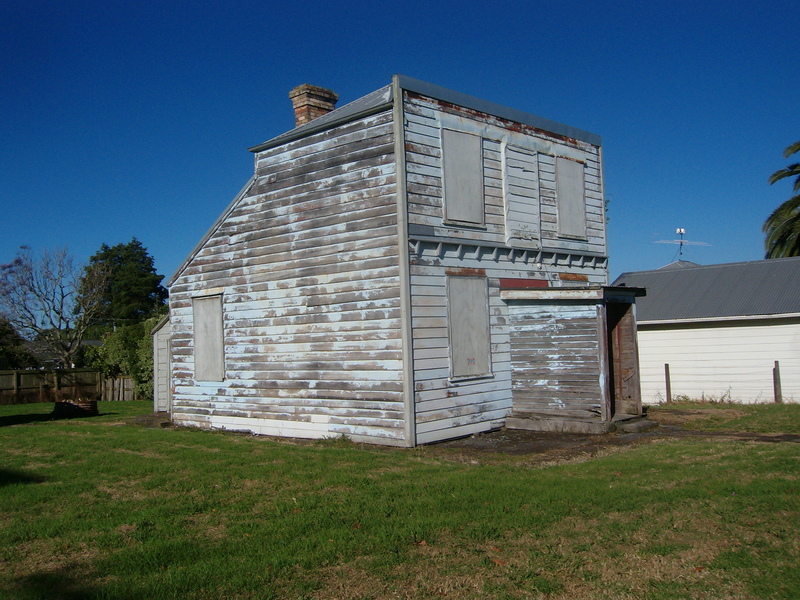 However Governor Hobson chose a site further west around the Waitemata Harbour, and the city of Auckland was founded there. Meanwhile frequent skirmishes between the native Maori and European settlers meant that the defense value of the strategic Tamaki estuary site wasn’t overlooked. Retired British soldiers were brought to New Zealand to help protect the colony. They were known as Fencibles, and by the mid-1800s Fencible families were living along the shores of the estuary, near the former Mokoia pa site, in ninety-nine temporary huts made from bundles of Raupo swamp reeds. 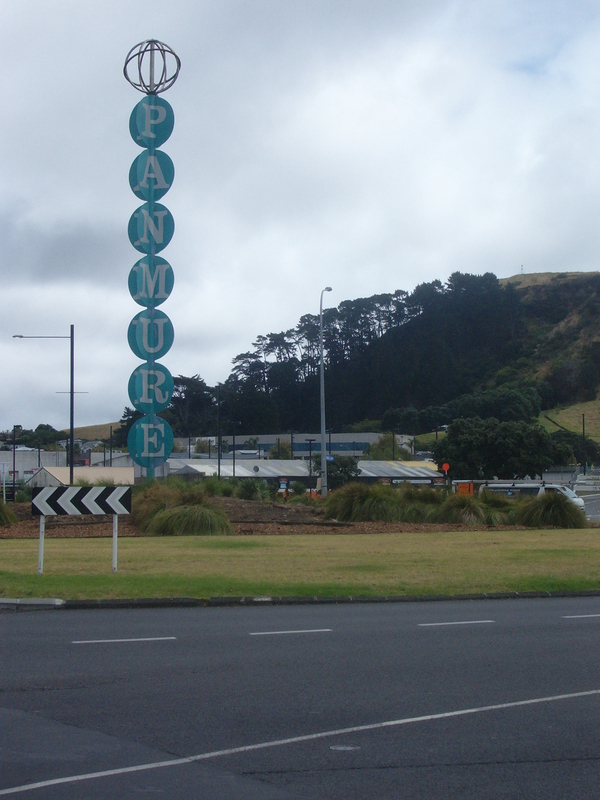 Thus the settlement of Panmure was created. As the Fencibles’ conditions improved they built better homes, mostly in wood. 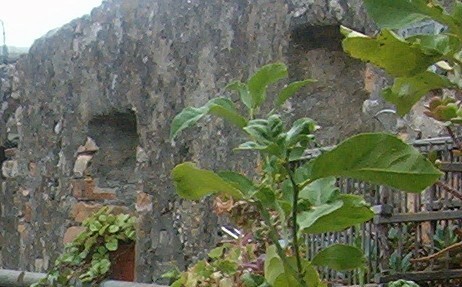 This is an unusual example of one in local volcanic stone. 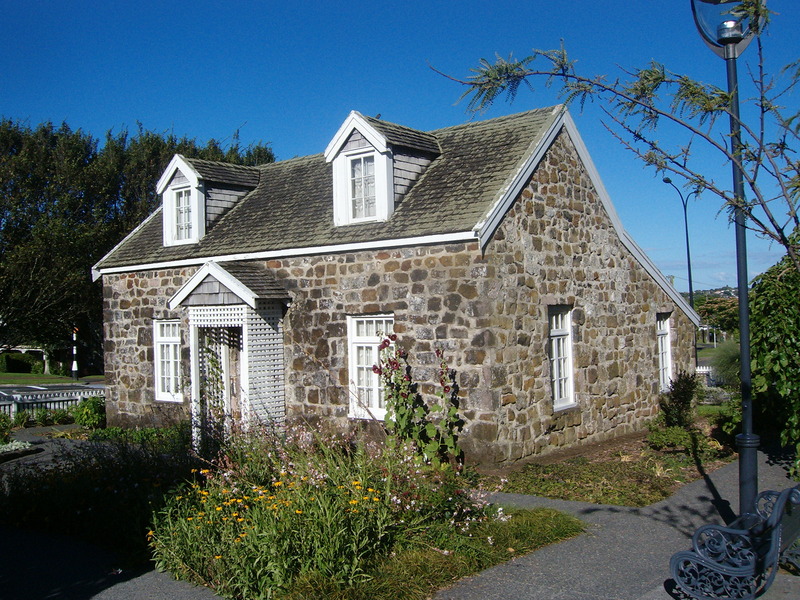 It was built near Panmure in 1854, and moved to its present site in Panmure in the 1970s by taking it apart and rebuilding it stone by stone. 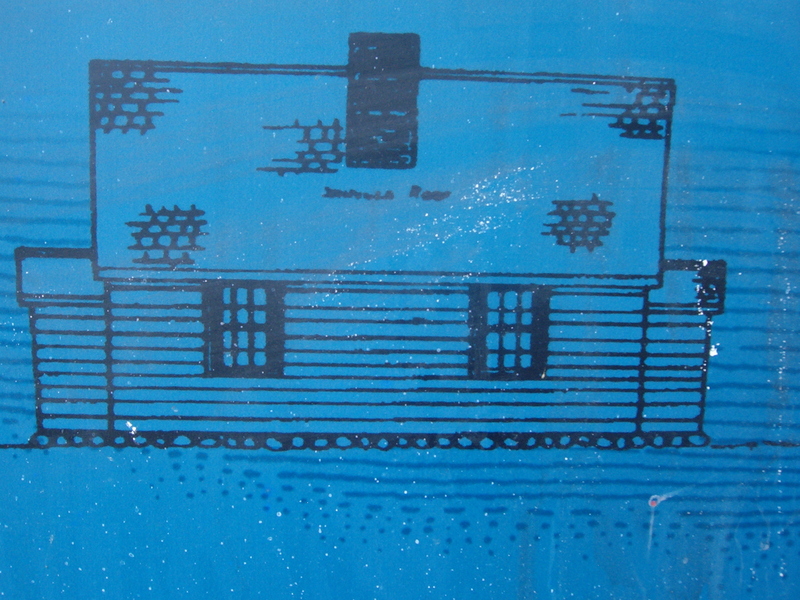 It is furnished in the style of the 1850s as a memorial to early settlers. With water transport preferable to the hazards of travelling overland, the Tamaki River played a key part in the new settlement’s development. For over a century, until the mid-1900s, the Panmure wharf was used by cutters and scows to bring in supplies and to take away produce. Crew from these vessels would frequent Panmure’s pub. The first of these was built in the 1860’s. In those days it was a much more attractive building than in today’s photo as it had covered verandas on the ground and upper floors. 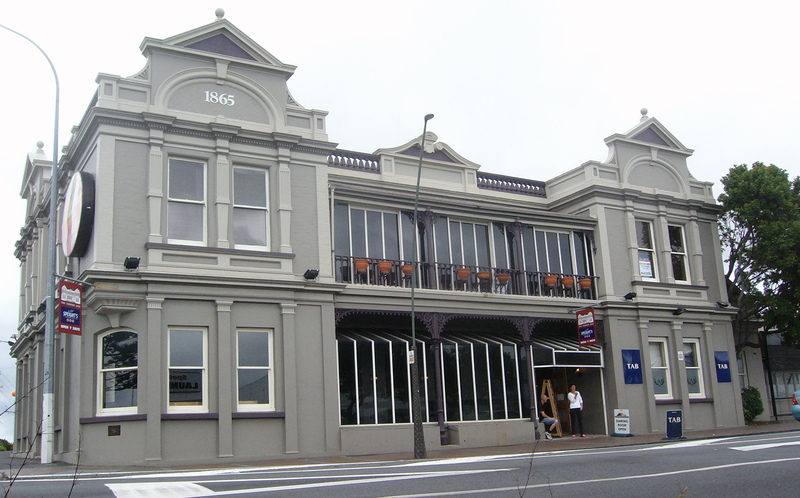 This wooden pub was replaced by the current Panmure Hotel in 1865, and the older building remained in use as Loomb’s Hotel until 1890. 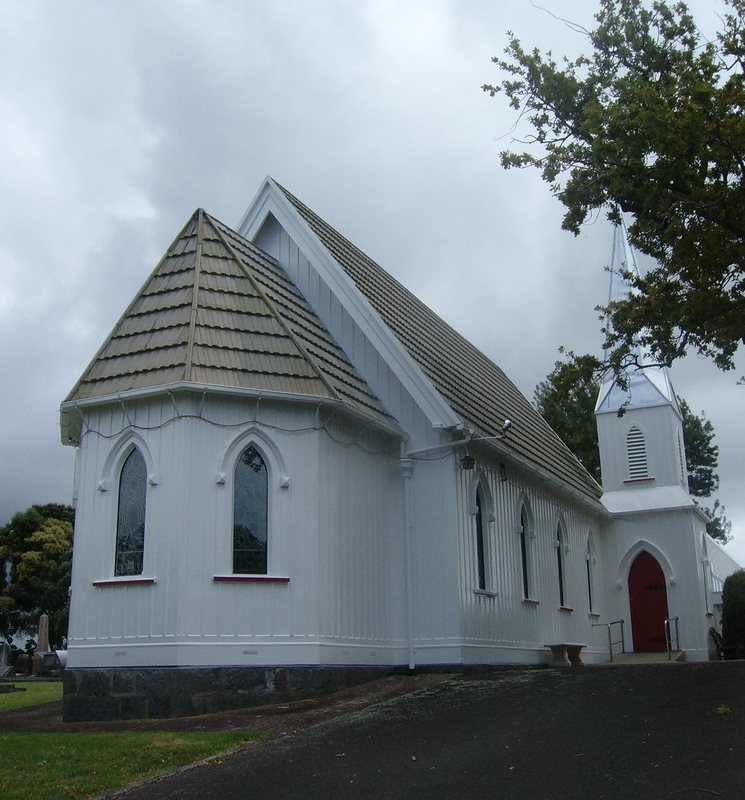 St Matthias Anglican church dates from the mid-1800s too, as do some of the graves in its adjoining cemetery. Panmure Basin is an almost-circular tidal volcanic crater – a break in the crater rim connects the lagoon to the Tamaki estuary. 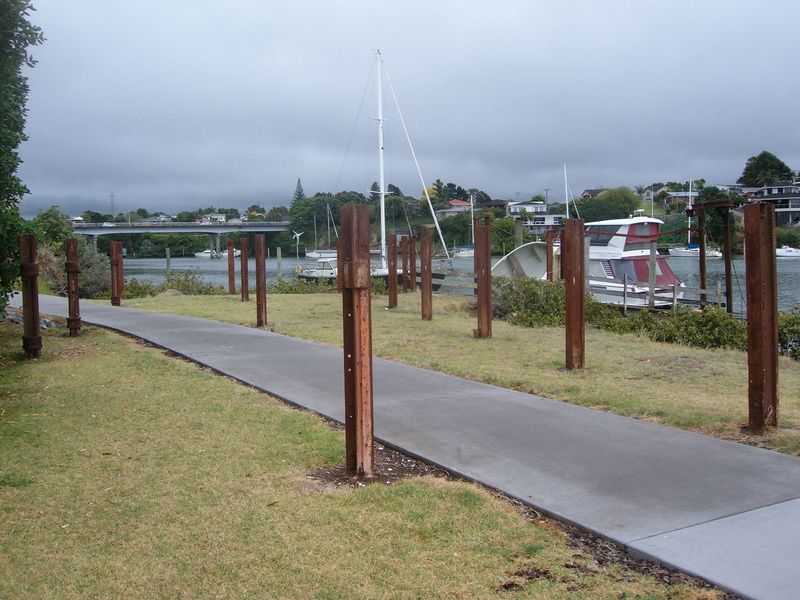 The basin is edged by a shaded walking path. Looking across the Panmure Basin volcanic crater lake at high tide. 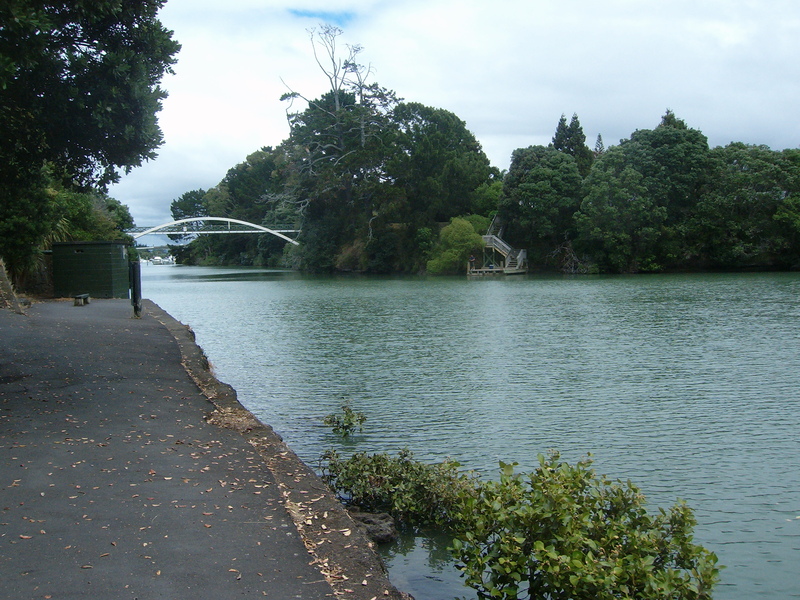 The path that circuits the lake crosses this little bridge where the lagoon flows into the Tamaki estuary. 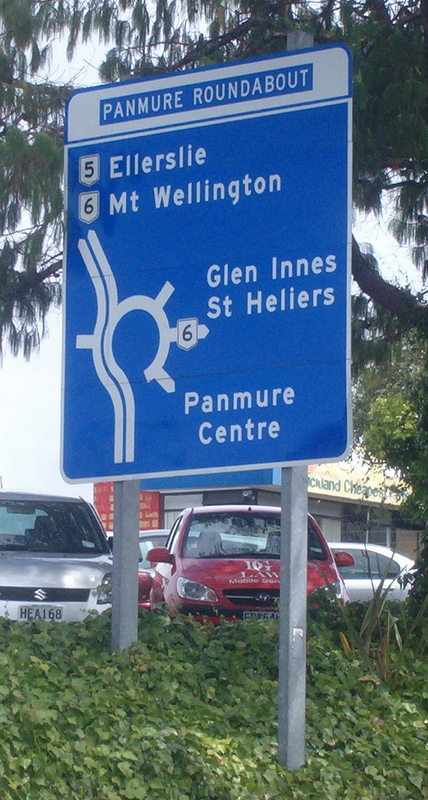 For motorists, the roundabout on Panmure’s western boundary can be a little bit daunting: some drivers will even go to great lengths to detour this multi-road intersection. If you enjoy the challenge of getting into the right lane to negotiate Auckland’s largest and most infamous roundabout be warned: it is about to be replaced by traffic lights. With work well underway to remove the traffic roundabout, the sign this stands in its centre needs a new home. This entry was posted in Auckland, New Zealand, Uncategorized and tagged Auckland, basin, capital, colony, fencibles, hotel, Maori, Panmure, roundabout, scow, Wellington on February 23, 2014 by ventimigliaaltawords. At high tide on a calm day if you’re standing near the water’s edge you may notice the sea give a little jiggle, an extra ripple or two, as if to say I’ve made it on time. Then it turns and it’s on its way out again: out and out for just over six hours until it reaches the low tide mark. As the shoreline drops away with the outgoing tide the sea becomes shallower and the sea bed is revealed. On exposed ocean beaches the sea bed is sandy and you can walk right down to the low tide mark and paddle. In other parts of the coast fabulous rock pools are revealed as the tide drops: kids of all ages love peering into their depths for crabs and shrimps. 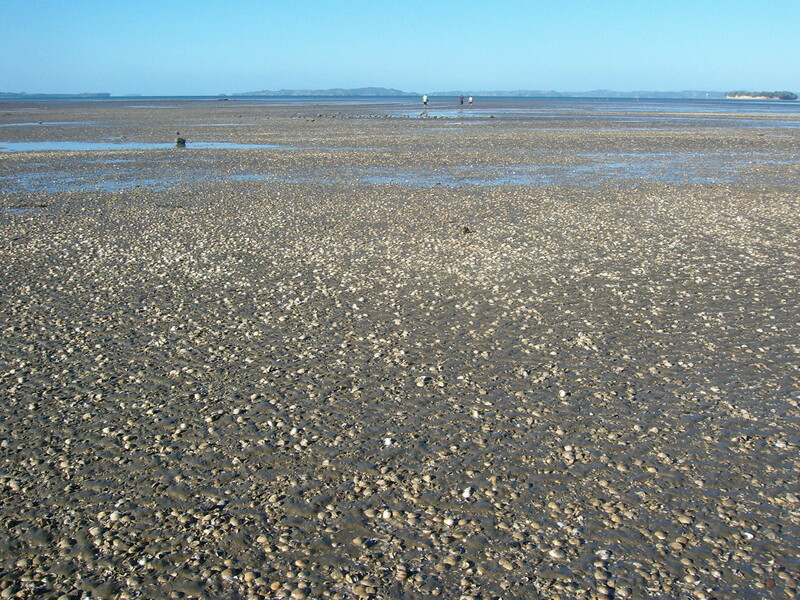 Sometimes, on more protected inner harbour beaches squelchy, slippery, slidy mudflats separate the beach from the receding tide and Cockle Bay would probably be one of these … if it weren’t for the cockles. How many million and trillions of cockle shells are there? 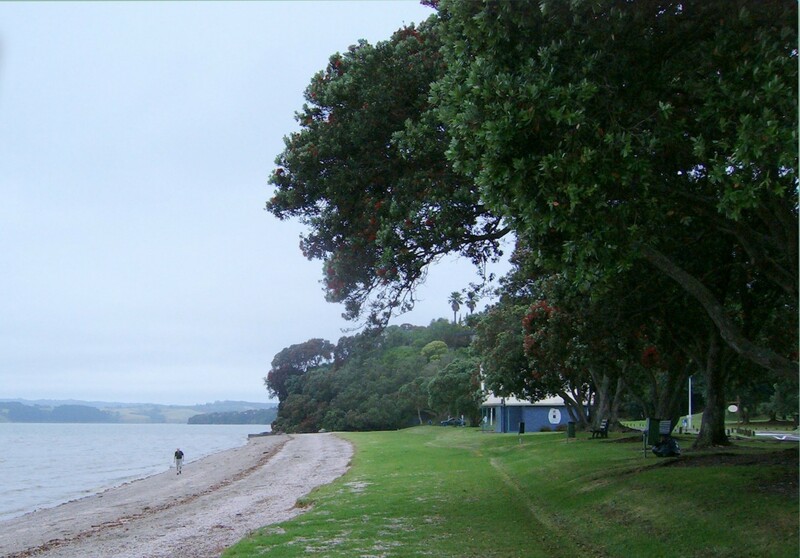 Cockle Bay, in east Auckland, is one of my favourite beaches. 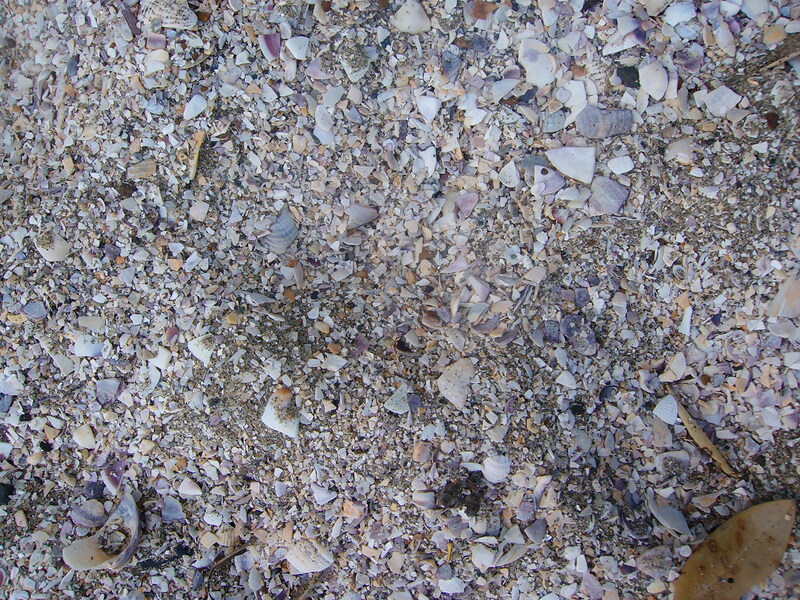 There are crushed cockle shells all along the shore – some quite large chips higher up the beach, and more finely crushed shells nearer the water’s edge. 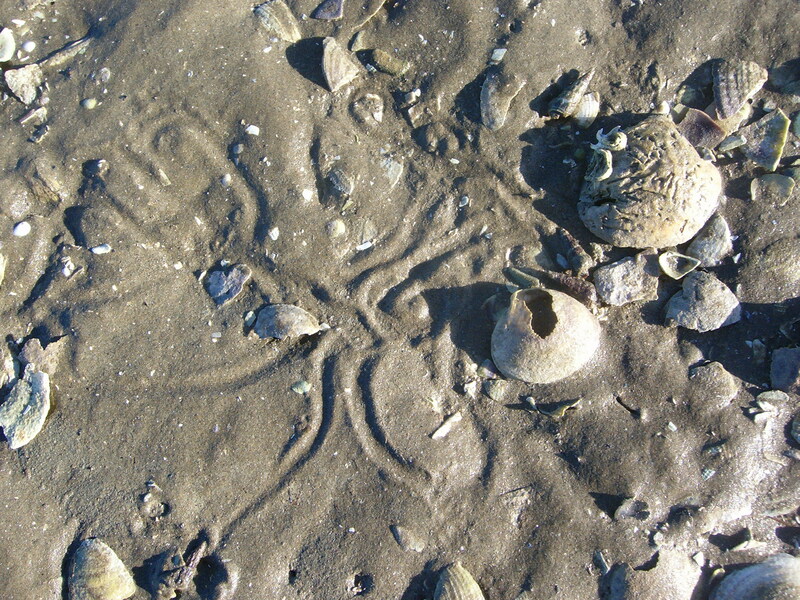 About an hour after high tide the flat seabed is gradually uncovered and this too is covered with cockle shells so that you can walk all the way out to the low tide mark accompanied by the crackle and crunch of the shells breaking beneath your sandals. 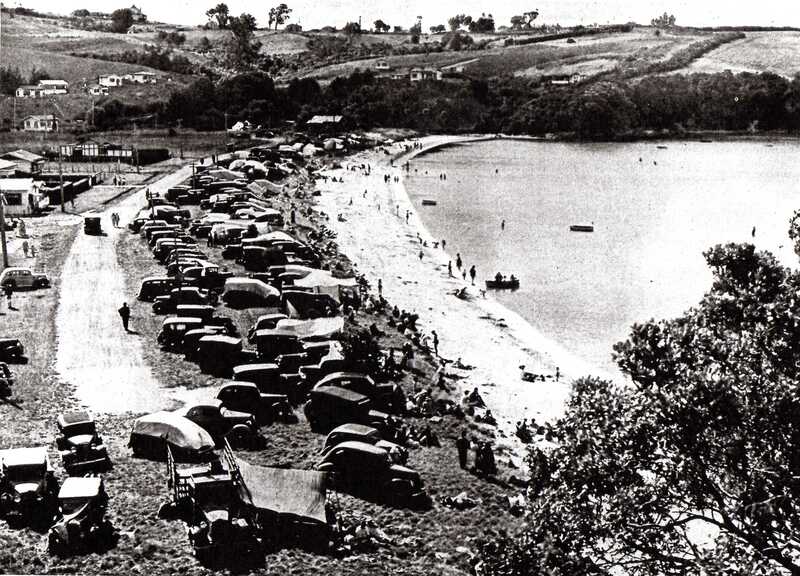 This photo shows Cockle Bay beach a short while after high tide. The high tide mark is identified by the narrow line between the lighter and darker bands of beach. 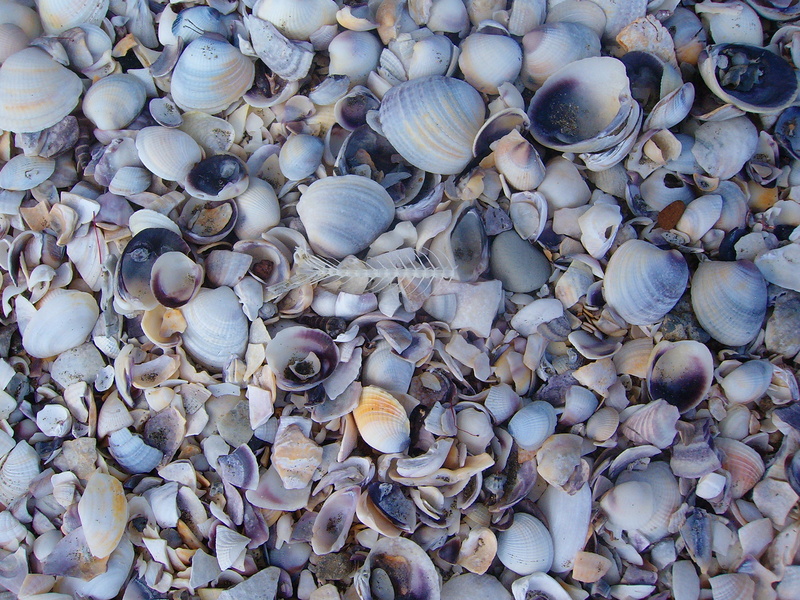 Cockle shells cover the beach. I took these two photos from the same spot on the sea bed at dead low tide – just over 6 hours after high tide – the beach and the water’s edge are a long way off! 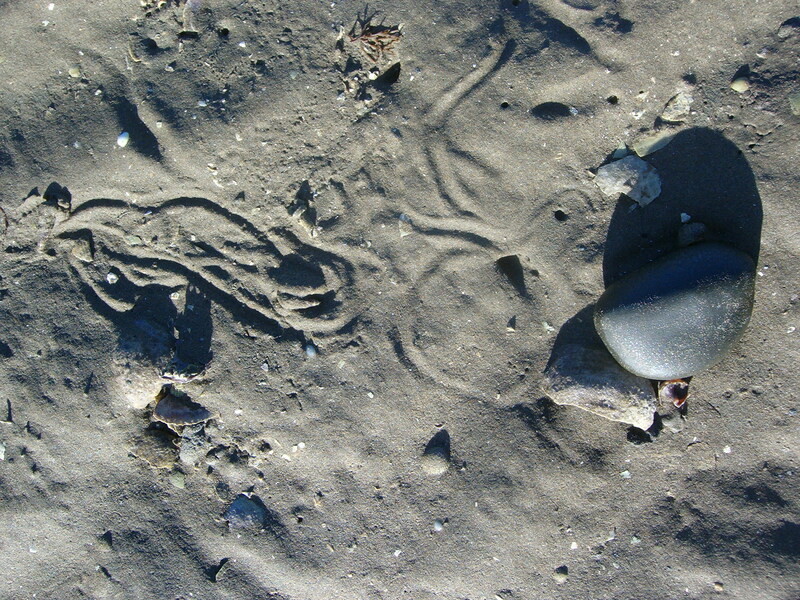 Tiny sea creatures have left their tracks in the sand as the tide receded. 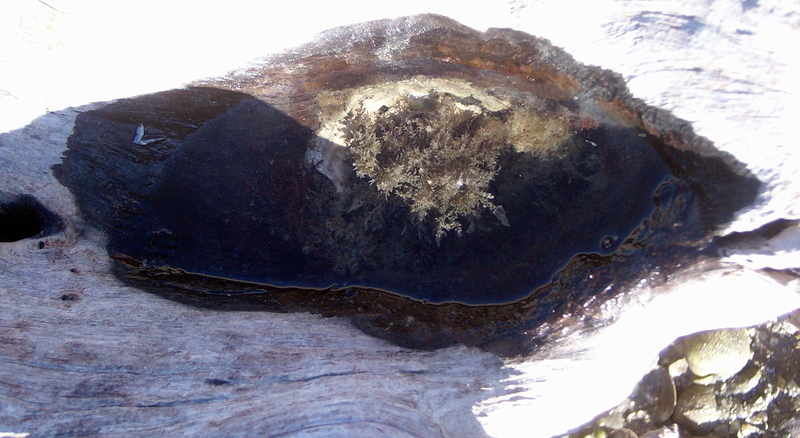 This massive piece of wood is completely waterlogged so that it can no longer float. It has its own little pool complete with seaweed. There’s nothing new about picnicking at Cockle Bay! This is January 1939! 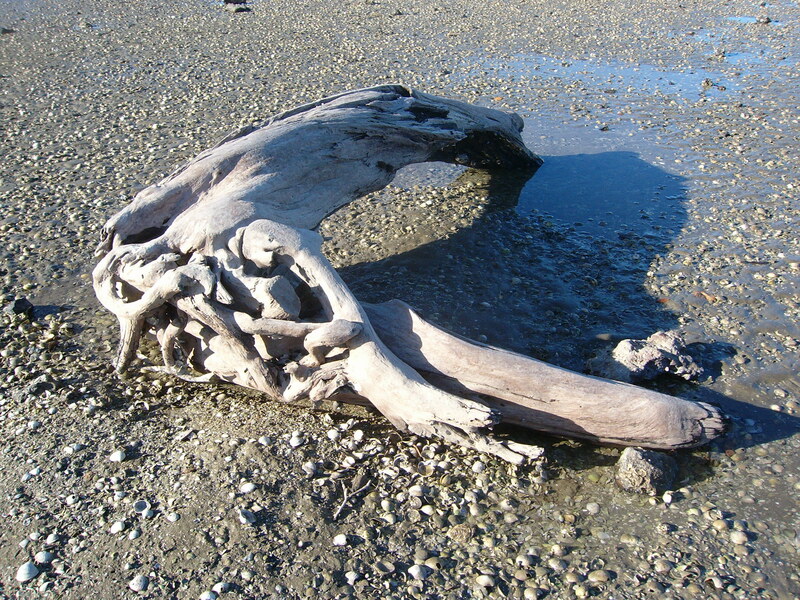 This entry was posted in Auckland, New Zealand, Uncategorized and tagged Auckland, beaches, Cockle, habour, low, mudflats, picnic, seabed, shells, shoreline, tide on January 10, 2014 by ventimigliaaltawords.